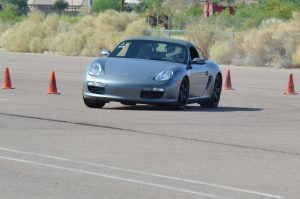 Learn the limits of your car and develop your driving skills at our Feb AutoX event. Instructors for first timers and we have a limited number of loaner helmets. Gates open at 7am, sound testing at 8ish, and first car out about 9am. Pat the Hot Dog Lady will be serving lunch to pre-registered drivers. Cars must have a valid AMP sound sticker or pass AMP sound testing. Pre-registration cost is $60, registration at the gate is $75. Come out and have some fun!